A case of mad cow disease has been reported on a Scottish farm. A case of mad cow disease has been reported at a farm in Scotland. Authorities have been quick to calm fears prompted by the outbreak of Bovine spongiform encephalopathy (BSE) -- more widely-known as mad cow disease -- after movement restrictions were placed on animals at an unidentified farm in Aberdeenshire, meaning the animals cannot be moved to other farms. “While it is important to stress that this is standard procedure until we have a clear understanding of the disease's origin, this is further proof that our surveillance system for detecting this type of disease is working,” Fergus Ewing, the Scottish government’s Rural Economy Secretary, said in a statement sent to ABC News. 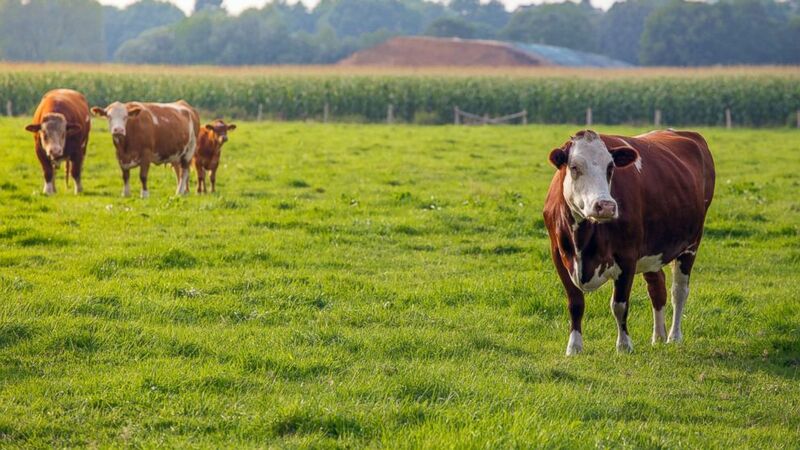 (STOCK PHOTO/Getty Images) Cows are seen here in this undated file photo. Officials also stressed that consumers should not yet be worried by the case because the disease did not enter the human food chain. Scotland’s Chief Veterinary Officer, Sheila Voas, said that “it was too early to tell where the disease came from,” but urged any farmers with concerns to immediately come forward and seek advice. The disease was discovered in a routine check on the Aberdeenshire farm, in northeastern Scotland. As a standard practice, all cows over four years of age that die are tested for BSE, and if the test comes back positive, all the animal’s offspring are isolated and later destroyed to comply with European Union (EU) requirements. There are strict controls in place to protect consumers from the risk of BSE, including controls on animal feed, and removal of the parts of cattle most likely to carry BSE infectivity. In the 1990s, a mass outbreak of BSE resulted in a ten year ban instituted by the EU on importing British beef, which began in 1996. The industry had been worth more than $653 million a year before the ban, which was lifted in 2006, according to the BBC. Mad cow disease reached its peak in the U.K. in 1992-3, when more than 100,000 confirmed cases of mad cow disease were reported, sparking widespread panic, according to The Guardian. National Health Service guidelines state that mad cow disease is likely to cause Variant CJD, a rare and fatal condition that affects the brain, when infected meat is eaten by humans. Dr. Jude Capper, an animal scientist and expert on U.K. livestock, told ABC News that the government has learned the lessons of thirty years ago. In the U.S., the last verified case of mad cow disease was in Florida in August, according to Reuters. This is the first case of BSE on U.K. soil since 2015, according to the BBC.